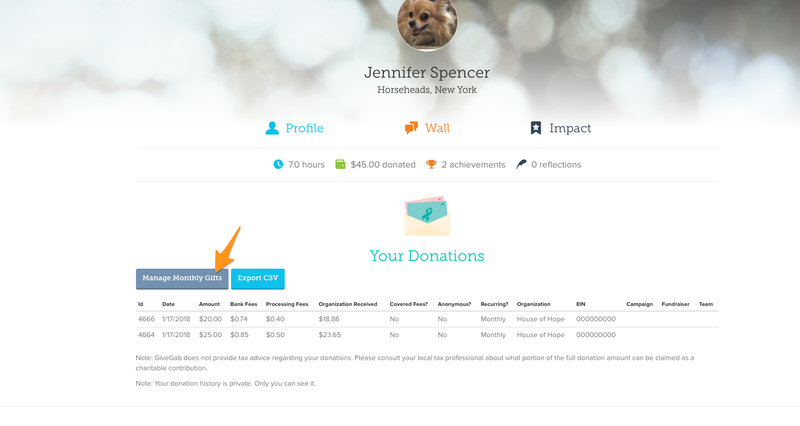 To edit your recurring monthly donation amount, you will need to cancel your current monthly donation and create a new one to the same organization. 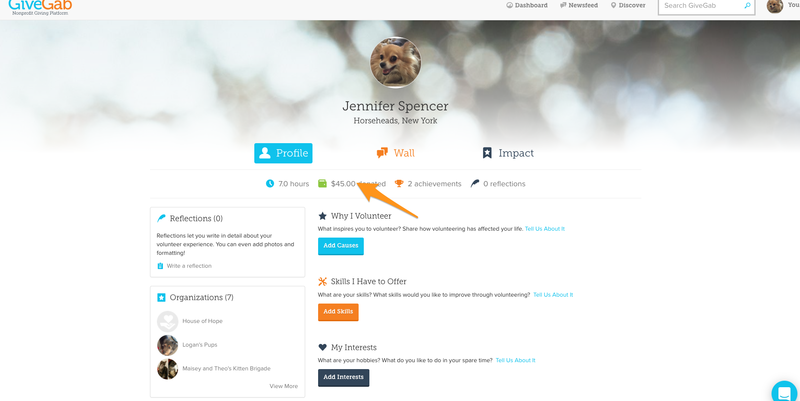 Once you are logged into GiveGab, Click "You" on the top right corner of your page on GiveGab. Step 2: Click "Your Profile"
Within the drop down menu that appears, click on "Your Profile". Within your personal profile, you'll see a green wallet icon with the total amount you have donated through GiveGab listed to the right of it. Click that link. 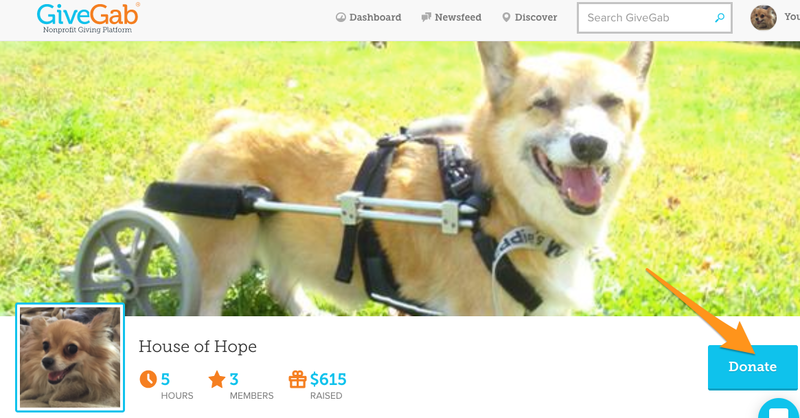 In the image below it says "$45.00 Donated". Step 4: Click "Manage Monthly Gifts"
This will allow you to view and manage any recurring monthly gifts you have on GiveGab. Step 5: Find the recurring gift that you want to change the recurring monthly gift amount for. Once you locate the recurring monthly gift you would like to change the amount on, click "Cancel". This will take you through the donation process to make a new monthly recurring gift. If you would like instructions on making a gift, check out this article here. When you finish making your gift, you will receive an email thanking you for your recurring donation and a receipt. You are now set up for a new monthly donation amount.